Whenever I speak to outdoor groups about backpacking and hiking, I always advocate hiking in small groups for safety. Then one observant person in the crowd pipes up and asks, "why are you alone in all your pictures?" Then, I see disapproving stares and hear murmers of, "all alone, he must be insane." I admit it - I am a solo hiker, a pariah amongst outing clubs and I love it. When people think of solo backpackers they think of Aron Ralston, who being pinned by a boulder for five days, amputated his own arm. Thoughts also drift to Christopher McCandless, of Into the Wild fame, who starved (or perhaps poisoned himself) to death alone in the Alaskan wilderness. 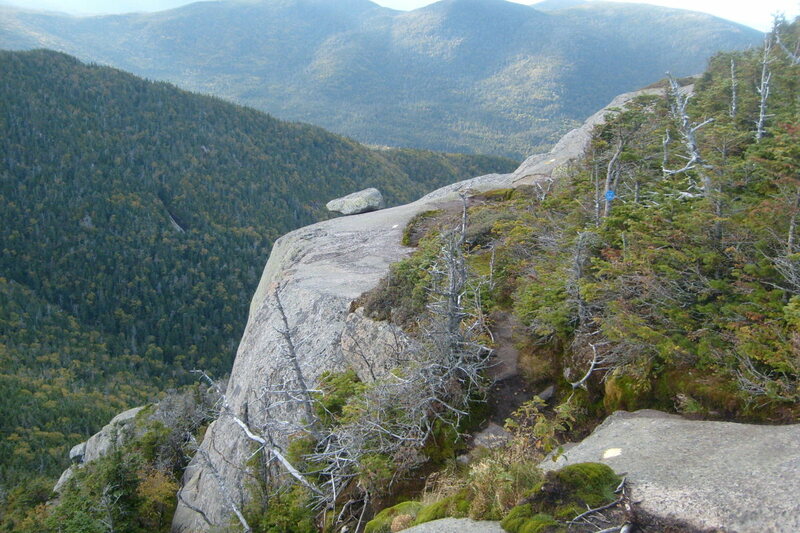 I've had quite a bit of fun over the years on solo backpacking adventures, hiking the Appalachian Trail solo, and hiking all but one of the Adirondack 46 High Peaks solo too (I'll fix that in a few weeks hopefully). Is solo hiking dangerous? It can be, but then again - camping in your backyard can be dangerous too. Backpacking solo safely is possible through managing your risk by being prepared and knowing your limits. "It is good to be solitary, for solitude is difficult; that something is difficult must be a reason the more for us to do it." Quite honestly, going solo gives us an elusive opportunity to have honest conversation with ourselves. Not only away from the impressions of others, but away from social media, and the pressures of conformity. It's hard to form our own ideas when immersed in an artificial world we didn't create. We must get away from influence, so we can be our own person. For Thoreau, to truly walk is to give yourself over completely to nature. It is also not possible to enjoy everything a walk has to offer when you are concerned with the affairs of the office, the farm, or whatever else distracts you from being wholly present. As a solo hiker, it is easier to mitigate distraction and immerse yourself in your surroundings. I generally have my best ideas while mucking about in the woods. So many ideas that I, who abhors the non-necessities, carry a notebook and pen with me now. But now the notebook is a necessity. Even though, that much like my cooking, some of my ideas are better left in the woods. Solo hiking has a much more pragmatic reason too; it's hard to find a hiking companion. Though it is nearly impossible to find a person that shares your pace and your goals, and sometimes it is hard finding anyone at all. 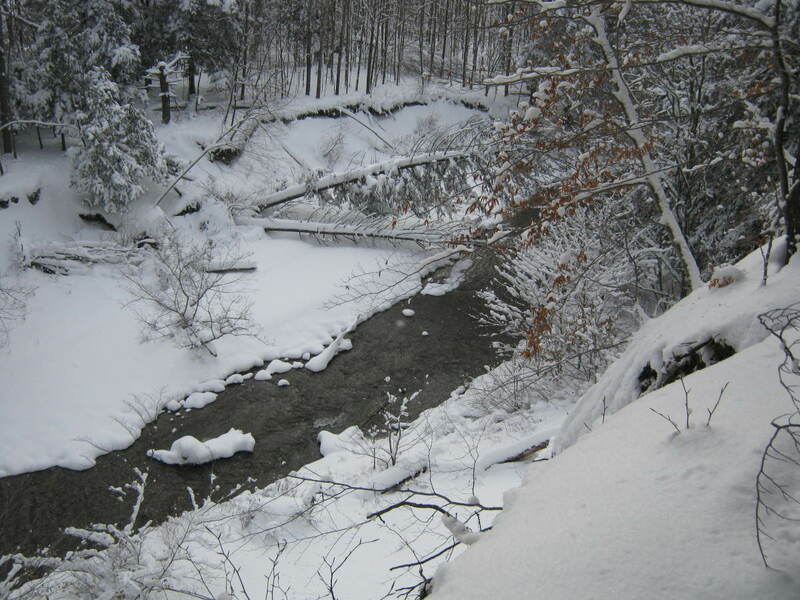 With a tough economy and vacation at a premium, if you want to get outdoors - you may have to do it by yourself. Carry copies of guide book pages for the entire area you are hiking in, not just the trail you are on. The information will come in handy, if you have to make an emergency bail out. Yes, as lawyers tell us, with all things outdoors there are inherent risks involved and perhaps even more as a solo backpacker. However, being safe in the outdoors is all about managing the risk associated with the activity. In the article "How Dangerous is Solo Hiking, Really?" High Country Explorations makes the argument that it is less safe to be with a group of incompetent people rather than a solo hiker that follows a good risk-management strategy. That being said, it is safer to travel with a group of competent companions (using good risk management) than it is to be a competent solo outdoor enthusiast with the same outlook toward risk. Always, always, always leave a trip plan with someone back home. No one was looking for Aron Ralston because he didn't inform anyone about his hike plans. Sign in (and out) at every trail and shelter register - it will make things easier if people are looking for you. For your first couple solo trips, stick to well-traveled trails and campsites. Research all potential hazards in the area and develop contingencies for dealing with them. Master your backcountry survival and camping skills as listed below. Be physically fit enough for rugged hiking and have a doctor check-up. Know your limits and when to turn around! There are no secrets here, the gear for solo hiking is exactly the same the group hiking; however, you may feel your pack getting heavier. One of the beauties of group hiking after all, is that you get to distribute the weight amongst all the participants. Solo hikers often master lightweight backpacking, as to carry all their camping and safety equipment, yet still be comfortable on the trail. As a lightweight solo backpacker, I generally average around 8 pounds of equipment for a summer three day trip. With food and water, that weight gets up to around 15 pounds. Weigh everything and create a spreadsheet in excel to track weight. Avoid multiple stuff sacks. Carry everything that needs to stay dry in one larger sil-nylon bag - it will pack easier too. Watch how much food you carry - food is often the heaviest burden in the pack. Most importantly, never compromise safety for the sake of weight - especially as a solo backpacker. 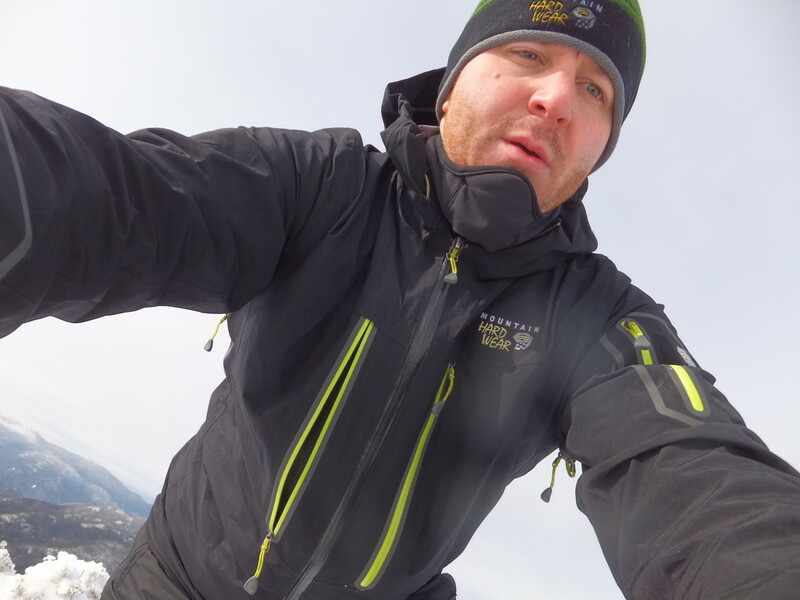 If something happens in the backcountry, the only person you depend on is yourself. It's important to have the right gear to back you up. 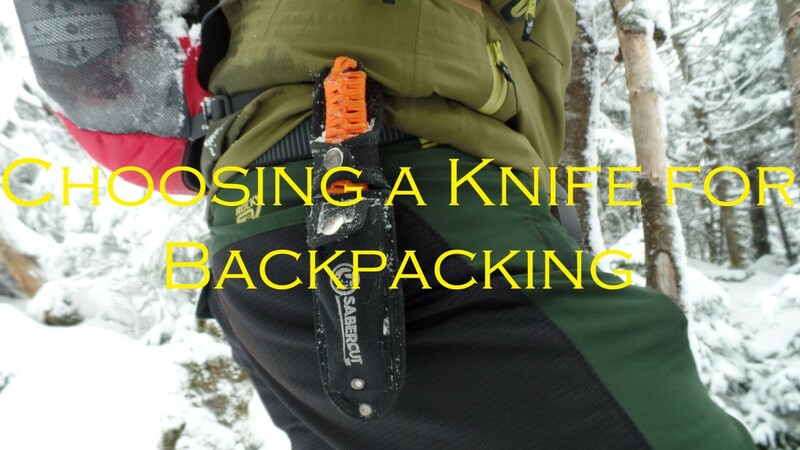 All hikers and backpackers should carry The Ten Essentials whenever they hit the trail. Carry a "pealess" emergency whistle around your neck- they work even if they are wet or frozen. So it happened. You slipped on a log (damn slimy logs) and think you fractured your leg. Unfortunately, there is no group to give you aid and run back and grab a ranger for extrication. Now, what do you do? These are the questions you have to ask yourself if you are contemplating solo outdoor adventures. Though a whistle is an essential piece of any hiker's equipment, it is especially important for a solo hiker. Keep a whistle on you at ALL times, just in case you are separated from your pack. You'll be surprised how far the shrill sound of a rescue whistle travels. If you need help just blow your whistle three times every few minutes. Listen for the reply, which is two whistle blasts. Though cell phones have limitations with reception in the backcountry, satellite messengers like those from SPOT, offer peace of min to solo hikers. SPOT works by relaying your position directly to satellites and has a number of features. Perhaps the best feature is the "check in" feature which sends a signal to people watching your progress back home letting them know you are okay and where you are. In an emergency, you can let Search and Rescue know you need help and inform them of your position . As great as SPOT and other personal satellite locators are, they are not an excuse to be foolhardy. These tools are after all, mechanical devices, and though they are very reliable - they are no substitute for common sense. Many solo hikers have heard the question, "aren't you lonely out there by yourself?" And though humans are social animals, solo hikers are solo for a purpose and usually do not miss the social experience that hiking can be. So though, they are without social interaction, most soloists are not lonely. It's not that all solo hikers are antisocial misanthropes, well some are, but most are generally well adjusted individuals. If you see a solo hiker, resist the urge to chastise their decision and you'll most likely have a pleasant trail conversation. Sometimes solo hiking can be a very un-lonely experience. Between casual conversation with hikers you meet along the trail and sharing campsites with others, sometimes an intended solo trip seems anything but. The most difficult task of a solo trip can be maintaining your solitude. 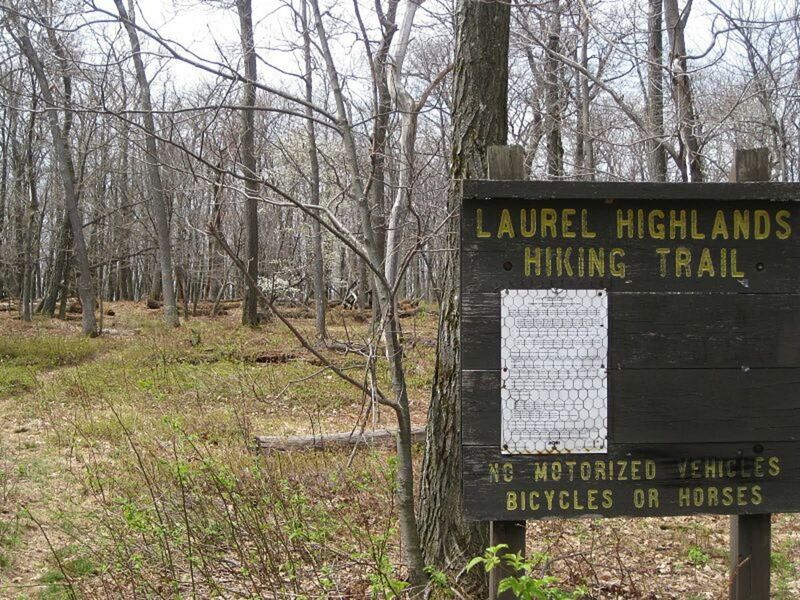 So you know the risks involved and still want to join those hikers that prefer to be on the trails alone. What skills do you need? Navigation - You must be able to competently use a map and compass. Also, most solo hikers carry a GPS - make sure you can use that too. First Aid - Though the community first aid course is a start, take a wilderness first aid course to learn how to deal with medical emergencies when help is far away. Also, read all you can about improvisation in medical treatment. 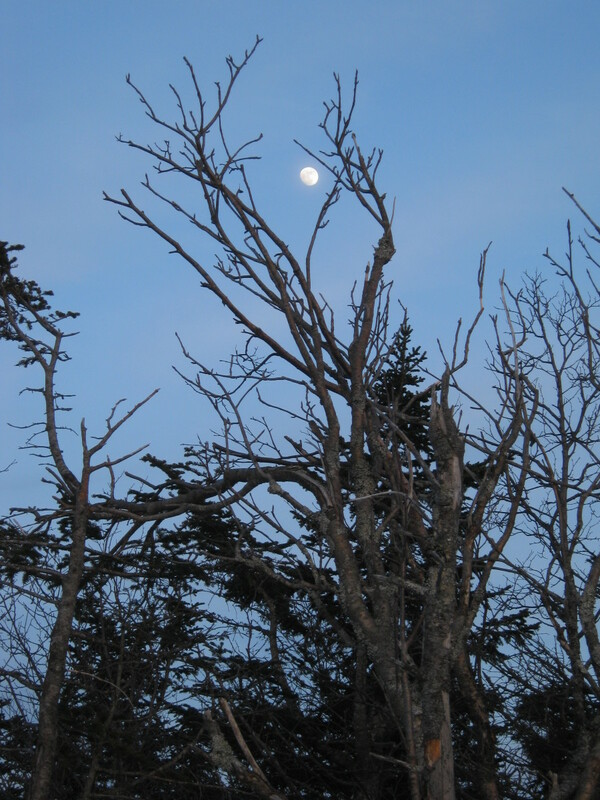 Survival - As a solo hiker, you must be well versed on survival. From starting a fire without matches to building an improvised shelter for the night - you must channel your inner Les Stroud. 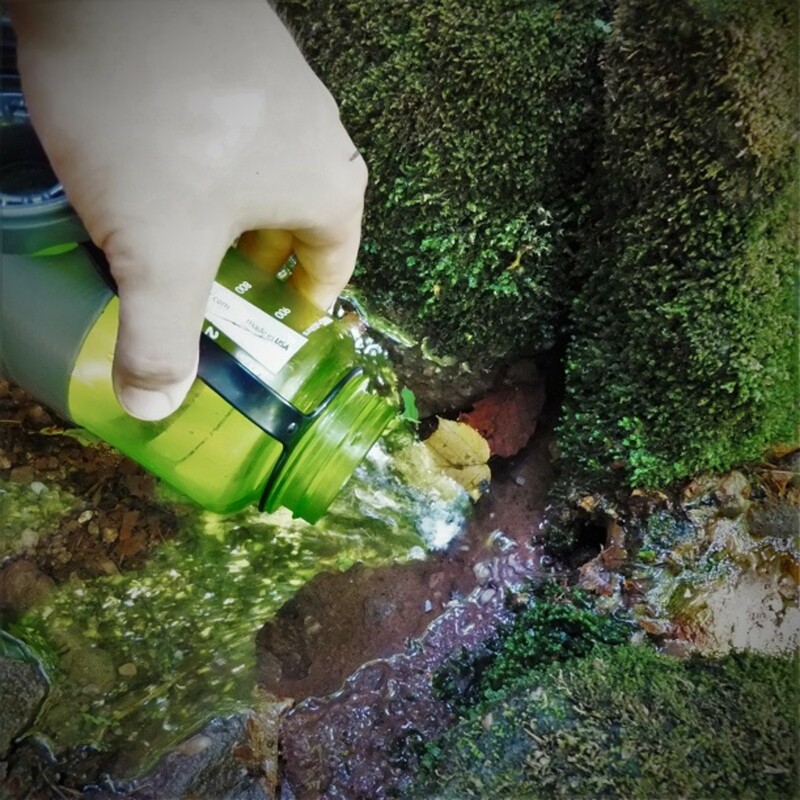 Cooking and Water Purification - Meal planning and the ability to prepare food is a must for the solo hiker. You don't need to be a gourmet, but you need to practice your cooking skills - even if it is just boiling water. Speaking of water, make sure you know all the methods of treating water and making it safe to drink. 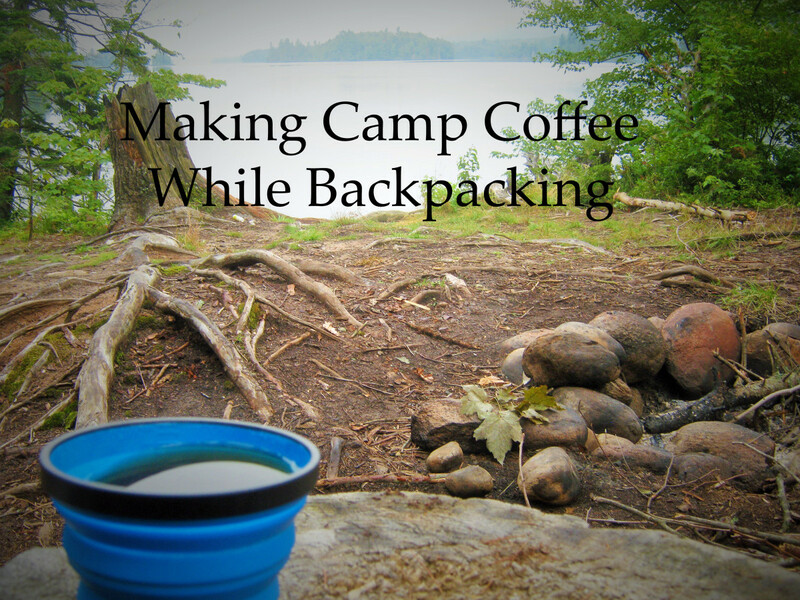 Camping - Though this should go without saying, as a solo hiker you need to be an expert camper. You need to know how and where to pitch your shelter, how to stay warm and keep cool, plus be an exert in field sanitation. Your first camping trip, should not be solo. Leave no Trace Ethics - Help preserve what you see today for the hikers of tomorrow, by practicing Leave no Trace and leaving an area better than you found it. 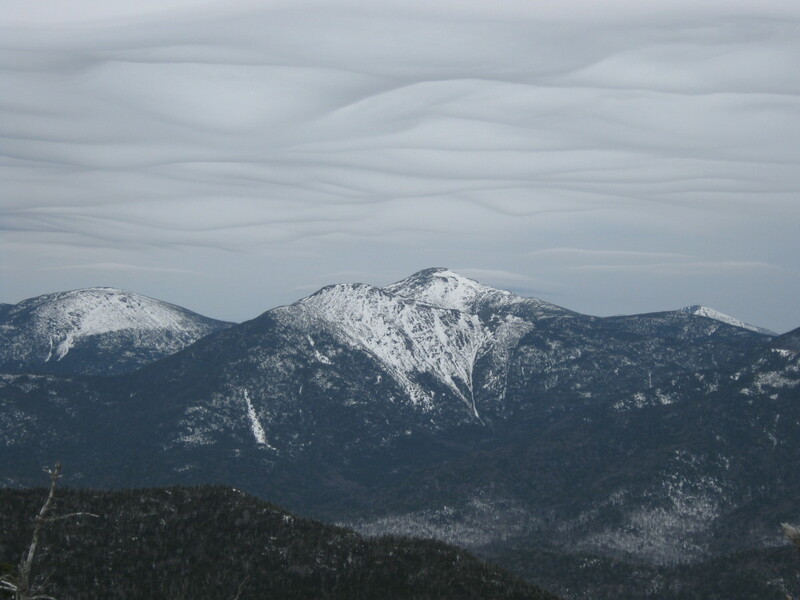 Weather Forecasting - So what do those nimbus clouds really mean, and can you get over the exposed ridge in time? 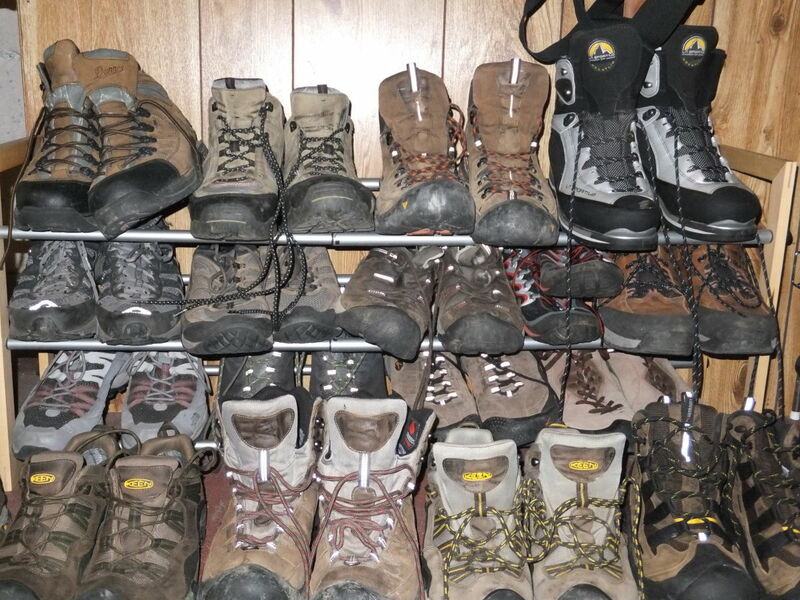 Decision Making - This is one of the most important skills for solo hikers. You must be able to make hasty decisions which don't compromise safety. I backpacked solo once in Swaziland. Unintentional. We went as a group but they group was more interested in smoking weed than actually walking. They decided to take a nap from being too stoned. I continued on my own. It was an eye opening experience. Something i wish to repeat. I felt so much more in tune with my surroundings. Especially when night fall came and i realized i am miles way from the group and they have no idea which way i went. Night time was terrifying i will admit. Having spotted leopard coming over a mountain and disappeared into the thick forest. The same forest i opted to pitch my 1 man tent in. All in all. Amazing experience. The next day i started climbing some serious mountains to try and spot the group. I did eventually find them. I've only done solo backpacking. Every time I try to get someone else to go they say they're busy, or chicken out. I researched backpacking and camping for long time before heading out. Not something you can just do after buying a pack and a tent. Absolutely nothing wrong or weird about backpacking alone, I think it's mostly women who see it as weird, since they rarely do anything on their own. I also smile to myself when a group walks by, yakking away to each other instead of being quiet and listening to the sounds of nature. Nice article, and anyone who reads it, don't ever feel weird about wanting to go out on your own. Thanks for the tips. 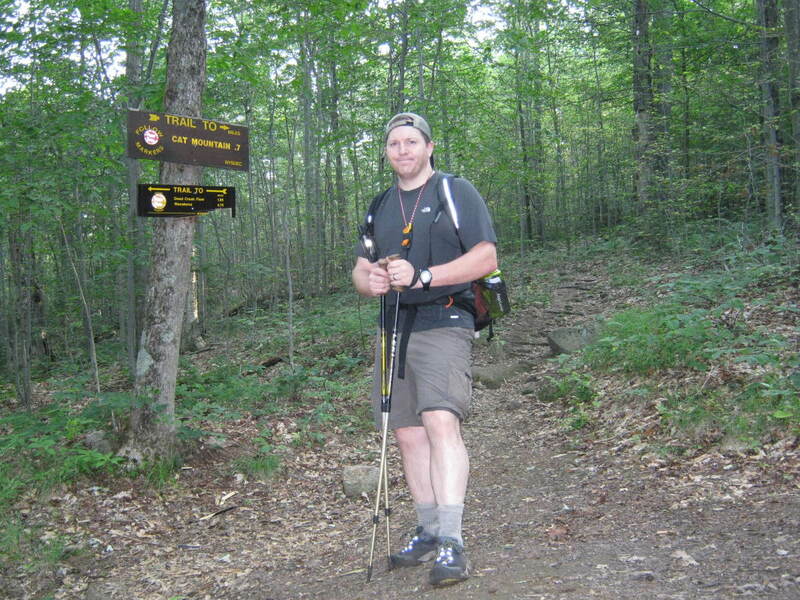 I used to hike alot in my late 20s and early 30s. Am now retired 68, and ready to head back out. You can't beat glowing embers, setting sun and brilliant stars at night. I am a senior woman and I enjoy hiking by myself. I don't do backwoods hiking much since I started hiking just about 6 months ago. 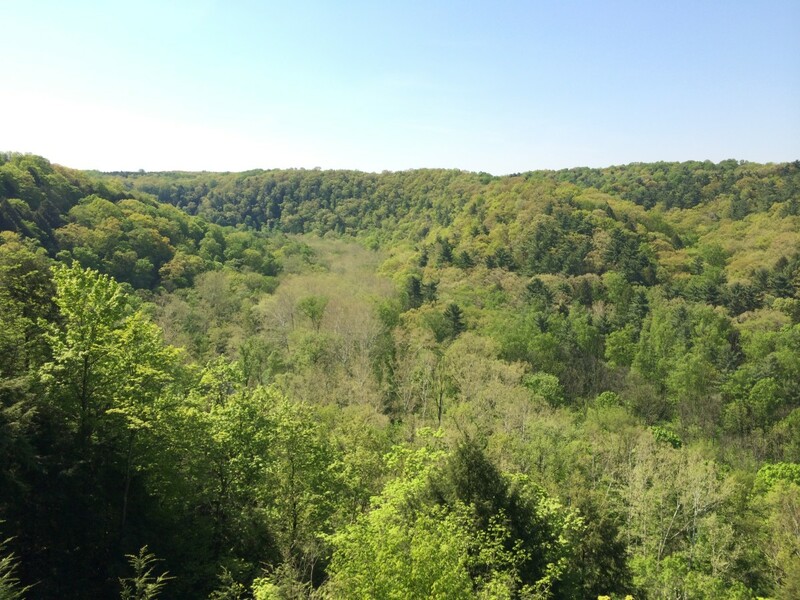 Hiking is a great way to explore nature and yourself. I do take precautions and know my limitations in what I can do but I do enjoy the journey. Tapping in on the inspirations of other solo hikers. Going through weight balancing/needed vs superfluous gear. Thinking section hiking a long distance hike which I chipped off a small portion (30 miles) but with a friend. Thanks Dan for some wonderful tips. I'm very excited about solo hiking reading this hub. There are different suitable places for hiking in my country. I want to know which kind of location will be better to start my journey as a hiker. Should I choose the hills? Or do I go for the river side or seas? Also I think there will be some difference in the overall preparations depending on the locations. I wish if you shed some light on this factor. This will help me greatly. I look forward to start my journey. Please wish me a great hiking journey. Great great information for solo backpacking. Thanks for sharing. Great tips! I have never and probably will never attempt the wilderness all on my own. I do see the appeal of getting away from it all which is harder and harder to do all the time. Stay safe out there! The 'Dacks are my favorite place to explore on solo adventures. I hope you have an awesome time Nathan. For sure Dan. I was smiling on lending thing. When I completed the book on commuter train, my friend borrowed it immediately after hearing the accounts from me. I will not mind if she doesn't return, because I always order another copy when I give some book to some one. My library is always complete hahaha. Btw, I was planning to start my future thru-hike from Maine also. Reason: I thought it would be better to get over the hardest parts of the trail first. Also, I don't mind lack of company, although I am quite a social person when not hiking. Back on Bill Irwin, I think he did have lot of company during each section, intentional or intentional. I don't want to take the credit away, but I thought the accounts of his getting lost or helpless reflect that they came when he was all by himself. I read Blind Courage years ago in preparation for my own AT thruhike. It is sadly one of those books that I lent to someone and don't remember who. Perhaps someday I'll get it back. That account served as a great motivator for me during my own hike. Whenever things got tough, I thought to myself - a blind man did this. I figure that if he had the courage and the spirit to press on, so could I. Just wanted to let you know that I read the book by Bill Irwin (Blind Courage). I really liked the account of "Orient Express". That hike is about ultimate courage. I was awed by the spirit there. The book wasn't available as new. I had to order a used version through amazon.ca. Hi Crusty - may of the solo hikers I know are in their fifties or sixties, so you are in good company. I plan on still venturing out solo when my hair is just a little more greyer. Physical training begins at home. Because of where I live it is hard for me to get out hiking. I can however, load the baby in his carrier and tote him around the neighborhood for a few miles. Usually I have to save the wilderness stuff for the weekend. I think that good physical conditioning is paramount for solo hikers. It sounds like you have an awesome trip coming up in the Gila! I've decided to take up hiking again after 30 years. I'm old...er....55 so stamina was a major issue with me. To get ready for my first hike, I loaded my pack, and began hiking around the loop of my neighborhood, which is adequately hilly to simulate a trail, but still it's a paved road. My first attempt at 'the loop' of .8 miles was a real eye opener for me. I had been 'walking' it, leisurely, for years, but with a pack and 25lbs of gear it became another ballgame. 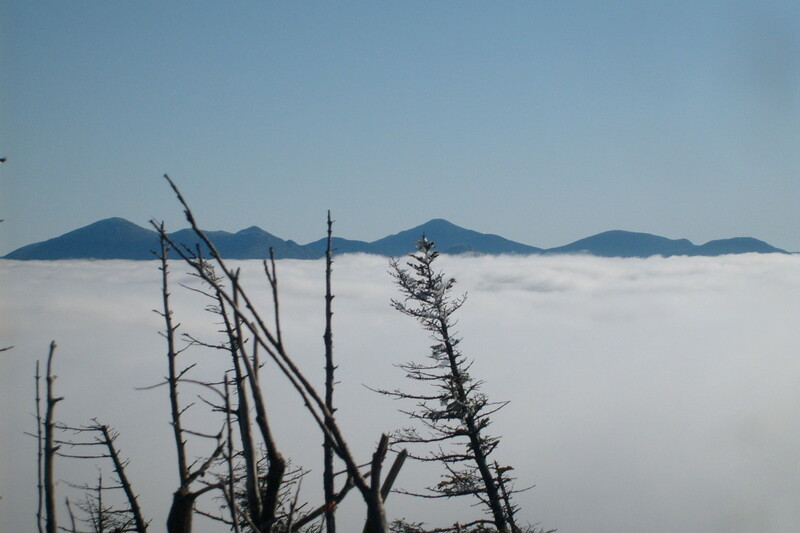 I'm keeping at it, and hope to do my first overnighter of 8 miles in the spring of 2014 in the Gila Wilderness. For now, It's just some local trails that are a couple of miles. I plan to get the Satellite tracker before hand as there is no cell service in the Gila. 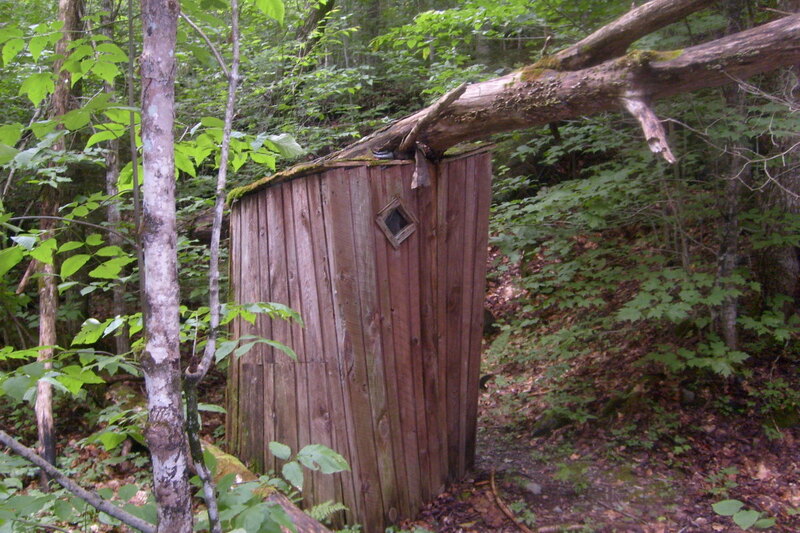 I'm doing some hiking later this fall of the LSHT but it has full cell service, which is important to us old ..er farts. Great article! Glad to see another solo hiking enthusiast. You touched on an all too often forgotten aspect of first aid, improvisation. 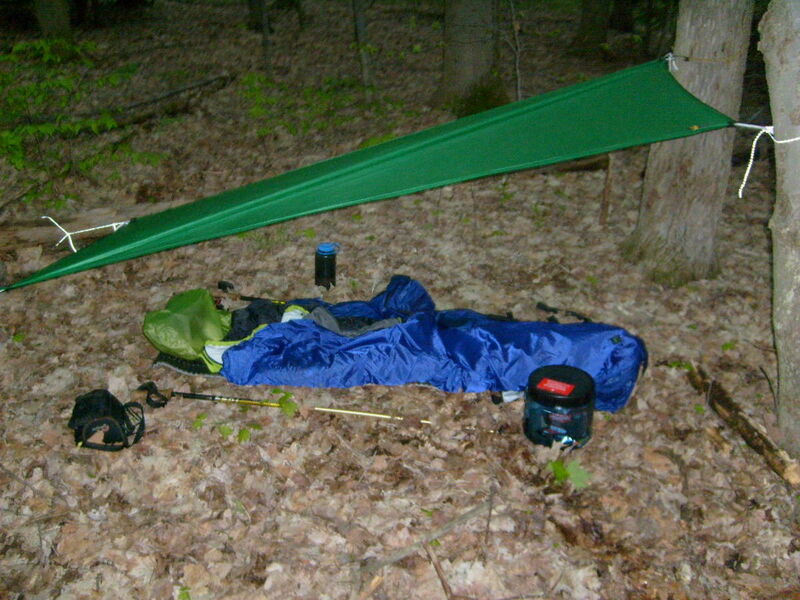 Making do with what you have on hand is often paramount in a solo backcountry situation. There are countless ways to get hurt, and just as many ways to remedy the issue. Be it using a stick to fashion a crude splint or making a pressure bandage out of a t-shirt, improvising can and will save your life! Love the hub, I think a bit of solo hiking would do everyone good every now and again. Plus you get amazing views up in the hills. Good tips. I myself love solo hiking and have been doing it for many years :) while it is fun hiking in a group, sometimes you just want to get away from it all. There is something enlightening about climbing up into the mountains and forgetting the rest of the world for a few hours. It allows to center themselves. It will all be there when we return. Greetings iguidenetwork and you make a good point in that solitude by choice is not lonely. I think where people make the error and get into trouble is not having the skill set or the frame of mind for meeting any obstacles the may face. Thanks for the votes! I really enjoyed this article. You give a very honest appraisal - and your enthusiasm for experiencing nature as a lone individual - lone, NOT lonely - is refreshing. On a recent trip to the Catalan Pyrenees I climbed up to 1750m to get a good look at the raptors up there. Just me - I left the family down in the valley. Some of us need this feeling of being free every so often....no noise, no trivia, just the senses and wild nature. Votes and shares. Have a great next solo venture. I enjoy your honest perspective about solo hiking as I have just really started to love it myself. My girlfriend and I are hiking partners for now, exploring the trails of Oahu. I think you are right scraw, in that solo hiking isn't really all that lonely of an experience. Perhaps in our solitude we are opened up to new impressions of nature that are usually obscured by the normal conversations we have with others. Thanks for stopping by scraw! Hello fellow hubber, I am a fan of solo hiking. There is no way to be alone because one can always have a relationship with anything in the wild. The nature is alive and willing to communicate with people. Look at it like a sort of telepathy where a tree, flower or animal sends impressions to the mind. Great read, stumbled across this whilst reading up on solo camping. As a SAR volunteer and someone with my ear to the ground for outdoor accidents I hear far too many incidents of hikers that venture out unprepared. All we can do is learn all we can and plan, plan, and plan some more. Nice hub! Lots of valuable information and great tips. Over the years, I've read in the news about backpackers or day hikers getting lost, experiencing sunstroke, and even being attached by a mountain lion. Your article addresses the need to plan according to the environment you anticipate. Voted up! I think that is what all of us soloists need, that confirmation. We just need a little validation that the way we prefer to hike is okay and done correctly - somewhat safe. Great hub, Dan! I'm a big time solo hiker myself. Thanks for the confirmation, and the wise words. Hi Shelly, I'm glad you found my Hub too! Thought it has been years since I've been "out west," there is outstanding hiking in Colorado. As you become an expert, be sure to share your advice I know we will appreciate it. I am so glad I found your hub. I just moved to Colorado and love to hike and do most of it alone. And truth be told, sometimes I prefer it that way! You offer great advice for people just like me. I am a newbie who hopes to become an expert so thanks for the great advice! Though I like sharing the outdoors with people, you're right that there are places better experienced alone. Thanks for stopping by Adventure Colorad! Great hub Dan! I started solo hiking and backpacking when I couldn't find anyone to go with me. There are a few of my favorite places that I still prefer to go alone. I'm glad you liked it Karl. Yes, finding a partner that shares your speed, values, and goals is hard. Have a great solo trip! I enjoyed your article. Like you said its hard to get a partner most of the time. I plan on going on my own hopefully on Memorial day. Just a small 1 nighter it will be my first one in a long time. I've gone by myself and i've gone in groups. It really depends on what you want to get out of the outdoors--solitude or bonding. It's been years since I've been to Quetico PP, but a beautiful place for sure. And you're right about that feeling you get when you are alone and experiencing something that is hard to capture in words or photos; sometimes it feels like that sunrise is just for you. I solo paddle too, mostly in the Adirondacks for longer trips. Thanks for stopping by and leaving a comment. Good paddling! Great article. Something I want to do. I did a week of Solo paddling and camping in Quetico Provincial Park, which I imagine is much like this without all the walking. The feeling of being out there alone (and ejoying it) is hard to explain to those who have not experienced that. 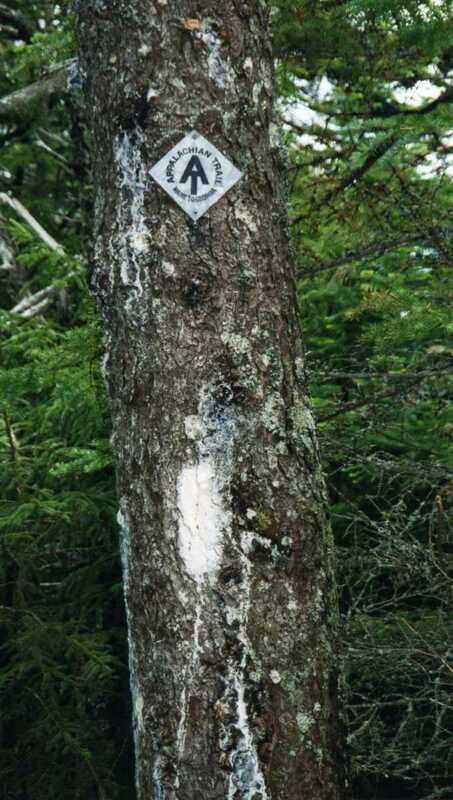 I want to check out the Casque Isle Trail along Lake Superior (Ontario) someday. A great article. A very good reminder to be prepared whenever you go out on a hike. You made it sound worth the risk. Much better than camping at local sites. Very interesting and I loved the pictures. I don't think I'm currently brave enough to solo hike, but this is great resource in case I change my mind. It's good you are getting out though. We all have so much going on, that sometimes we forget what our own voice sounds like. A little solitude, whether in the backcountry or in the city park is good for the soul. Plus the cool thing about going solo, is that you get major bragging rights! Thanks for stopping by and leaving your thoughts Simone! This is a fabulous argument in favor of (and guide to) solo hiking!! I love taking long solitary walks and sleeping outside by myself- though I have only had a small handfuls of opportunities to do so. You really put it perfectly by saying that solo hiking and backpacking enables one to have an honest conversation with oneself. It's the best! You are quite welcome cclitgirl! Hopefully, it can be of some use to you on your travels. Thanks Dan. I will definitely read this book. I have to bookmark this. I want to get better at solo hiking and hiking in general (doing longer backpacking trips and the like). This will be a great reference for when I try this out! Thanks, OD. Thanks for stopping by Suhail! Yes, though hiking with a dog does provide companionship, I'm not sure if they would know the way to the ranger station if you needed help. In addition to Tom Ryan, look at the blind hiker Bill Irwin and his dog Orient who hiked the Appalachian Trail. His book was Blind Courage. Ha, sometimes I think that little hint of fear is what keeps us all going. Heck, it inspires me. Great tips for solo hiking. I hike with my dog on most short duration trips, which is only tad different from hiking solo lol, hence great information for me. Tom Ryan and his miniature Schnauzer (of 'Following Atticus' fame) come to my mind as great role models here. I read the accounts with great interest of British Alastaire Humphreys as a solo hiker and bicyclist. For long duration hikes, I usually team up with others and enjoy it too. When I hike with my dog, there is always a sweet sensation of fear that I cherish the most hahaha. Thanks Algonquin Bob (who is also a very experienced solo hiker. 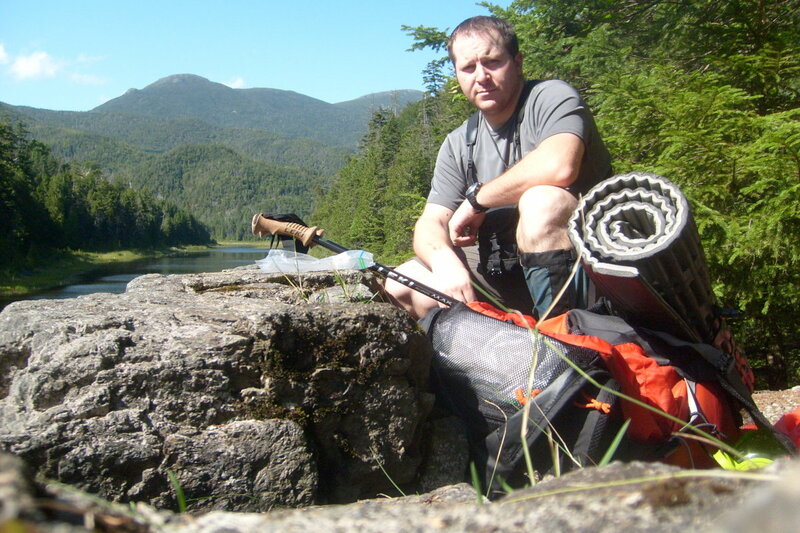 Wise words from a very experienced solo hiker; excellent article, Dan.